Please check out the market rules and grab a vendor application in the above tabs – or contact us for more info! Please like/follow our Facebook page to alert you of market activities. We are currently on the lookout for a local flower and meat vendor to round out our 2019 market. If you yourself are or know of anyone, please contact us via the contact information below. We look forward to hearing from you! Buy Local and Grow Community! I would like to participate as a vendor. Thank you for your interest in our market! 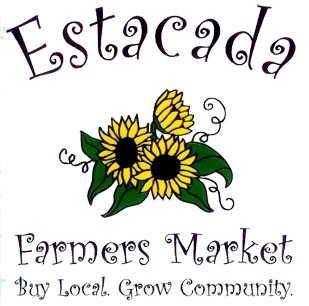 Our application for being a vendor and our market rules are available up above (or by following these links: Application – https://estacadafarmersmarket.org/vendor-applications/ … Rules – https://estacadafarmersmarket.org/market-rules/ ). The application along with your application fee and first weeks booth space fee can be mailed to: Estacada Farmers Market – PO Box 1241; Estacada, OR 97023. If you have any other questions, feel free to call (503) 309- 0846 or email: estacadafarmersmarket@ymail.com. Hi- What is the schedule for the Mobile Veterinary Clinic at the market?